I don’t have a crystal ball, I don’t listen to the wind, and I don’t have an email from a future telling me what to expect, which is a shame, especially given the subject for this post. 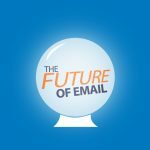 But I do have a long track record in the IT field, in email technologies specifically, and I’ve worked with a ton of both SMBs and Enterprises, so I may have a clue or two when it comes to the future of email for the SMB. And that’s a question that probably has quite a few people up late at night in both Redmond and Mountain View, since that’s a huge market potentially untapped. Here’s what I think is going to happen. First and foremost, email will move forward to become the norm for communications between customers and companies. Sure, it’s impersonal and often inefficient, but it’s a whole lot faster to get started working with a business if you can send a quick email and let them get back to you, rather than sitting on hold being told for the 19th time that your call is very important to them, or simply constantly getting someone’s voicemail and never getting a callback. Some, if not all, service providers will move to mail-enabled web forms for customers to use as the initial point of contact, and then proceed from there. Status updates, confirmations, clarifications… all will eventually move to email, with the venerated phone call being reserved for really bad things, or when email just seems to not get through. Also, as more and more customers start to see email as the normal communications channel, they will come to expect business emails to come from business domains. Instead of ExampleCarpentry@aol.com they will expect to see user@examplecarpentry.com or some other branded domain. With the growing number of TLDs available, including those targeting various business segments, anyone should be able to obtain a domain whose name is in alignment with their business. If you are not using a domain name with your email already, you need to start now. You walk into a room and flip a light switch. You expect the lights to come on. Same goes when you turn on a spigot – you expect water to come out. Utilities have been around for longer than anyone reading this has been alive, and they simply work. Utility computing takes the same expectations for IT, and email has been around in the workplace long enough that people simply expect it to work. You open Outlook or Gmail, you read your email, you write a new one and hit send, and it gets to the recipient. No muss, no fuss, it just works. While many of the major enterprises can say that’s exactly how their email works, many SMBs cannot, as they often suffer from outages, capacity issues, block lists, and more that break this mission-critical service that should “just work.” While larger enterprises can invest more people, time, compute resources, and money into building a highly-available, fully redundant, and top performing email solution, SMBs simply won’t have the budget to compete. And that is where the cloud will come in. Just as industries used to build their own power stations (some still do in California and elsewhere!) but others started to use utility companies, SMBs will stop building their own messaging infrastructure and start to subscribe to services from Microsoft, Google, and others. Whether it is to take advantage of comparatively small per user costs, to obtain capacities that could not be equaled in-house (like 50GB mailboxes for all) or to ensure that email really does just work by taking advantage of 99.9% uptime SLAs, the days where SMBs deploy their own email infrastructure are coming to an end. Microsoft has Office 365, Google has Google Apps for Work, and other hosting companies are getting into the business as well. For many SMBs, this just makes sense. 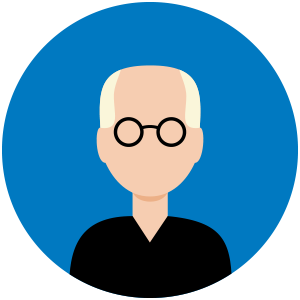 Consider it yourself: does it make sense to pay your IT team to manage email and to invest and maintain complex email infrastructure? Just keep in mind, this includes provisioning sufficient storage and purchasing the features that your users need and want, and also deploying it in two or more datacenters to ensure you have geo-redundancy and disaster recovery. Or does it make sense to pay a few dollars per user, per month, to consume the full set of features offered by a provider. Much of your IT infrastructure is unique to you, but sending and receiving email and providing services to computers and smartphones is nowadays pretty straightforward, and should be the same whether you work in healthcare or car sales. And that has not been lost on the likes of Microsoft or Google. Neither are going to provide enterprise-class email services to customers for free. Neither should. They are both businesses, not charities. But they will continue to provide customers with more, for less, and will continue to expand on what they do offer for free. Whether that is onboarding, or support, or data migrations, or new features, both companies see the SMB market as a huge opportunity where the chances for expanding earnings come into play only once the customer is on the service and using it. So both will be interested in doing anything they can to help get your business onto the service as quickly and as painlessly as possible. Similar to the race to free, both Microsoft and Google continue to expand their catalogue of services as well as their capacities, while reducing the per user costs to customers. And this is exactly where SMBs will see the most benefit. Not only will they be able to provide their users with features, capabilities, and capacities that would otherwise be completely out of reach, they will likely be able to negotiate with their chosen provider for at least a steady, if not a reduced, cost at each renewal interval. As email continues to be a utility computing solution, the ease of moving from one provider to another will improve, making it less challenging for dissatisfied customers to switch providers, which in turn will incent providers to ensure customers remain happy. Think back to the early days of cell-phone service. Your provider owned your number, and no matter how unhappy you were, you would likely stay with them to keep the same number. Today, you can take your number with you, and some providers will even pay out your contract to switch. Since your data is always yours, as are your domain names, it’s not quite the same, but if you are on a legacy platform, you can probably get help to move to cloud provider at little to no charge, and once on, they have to keep you happy or you can just move again. Yes, data migrations take time, but it’s still possible so they really do want to keep you happy to keep your business. Why, to the cloud of course! Start looking at the offerings from both Microsoft and Google, as well as any other hosted providers you have in your area or market, and see if it makes sense to move forward to an evaluation or a pilot. And don’t be afraid to mention to one that you are also evaluating the other, as that will open up all sort of special offers and considerations for you. Define what you need to have, what you want to have, and what you don’t care about, and then listen to the service provider on how they would recommend you to proceed. While they may not know your business intimately, they do know what their thousands of other customers have gone through and what works and doesn’t work in their environment. The future of email will likely see a consolidation on a few service providers offering utility-like services to customers on a subscription model. SMBs can win big by both saving money and expanding the services and solutions they can offer their users by taking advantage of service providers and utility computing.